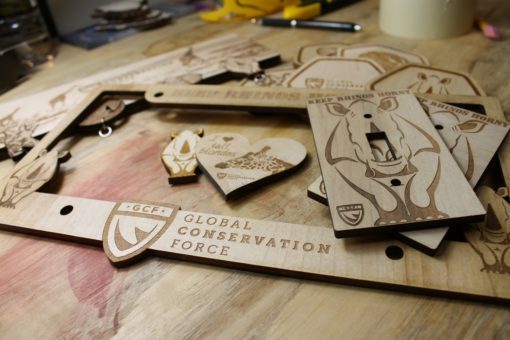 Get all of the cool and unique, wooden Global Conservation Force items sold here, save some money, and support the organization’s efforts to preserve and protect endangered animals worldwide. Everyone Wins! Are you a supporter of endangered animals? Show it with this set of unique items which spread the word about the atrocities taking place worldwide. The Global Conservation Force is an organization fighting the good fight through education and anti-poaching efforts. They support the true warriors out there in the thick of it all with the tools and equipment they need to fight poachers. 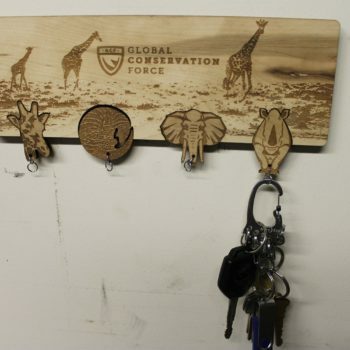 Remember, 25% of sales go directly to the GCF. 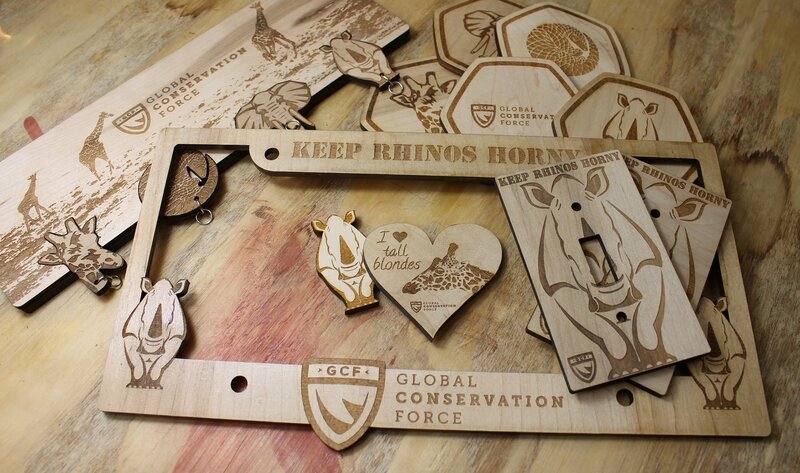 Get some cool stuff and help the endangered animal crisis currently taking place. One “Keep Rhinos Horny” License Plate Cover. 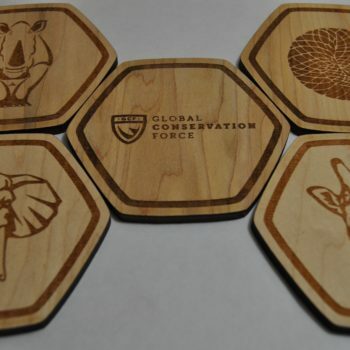 The Endangered Animals Coaster Set (5 coasters total). 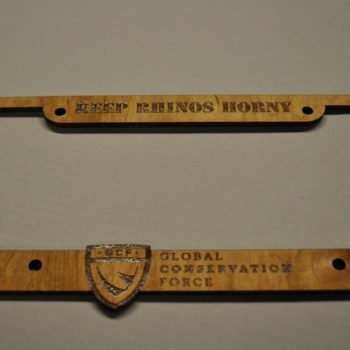 Two “Keep Rhinos Horny” switch plate covers.